If you are looking for high-end interior designers in Manhattan, NY, look no further than J. Patryce Design & Company. We can create beautiful custom looks for any space in your home and have been doing so since 2005. Our top luxury interior designers will help you transform your ordinary Manhattan, NY home to a luxurious residence you can’t wait to live in for years to come. Our design process is thorough since we want to get to know you and your preferred style. After the initial consultation with one of our residential interior designers, we will talk about your wish list and budget. Next, we will visit your home to take measurements and photos and then we will begin designing your luxurious vision. From inception to installation, our high-end interior designers in New York County will have you covered. If your home doesn’t reflect your personality, it can affect your lifestyle and mood on a daily basis. We know successful decorating is dependent on function, mood and personality and we won’t stop until we have achieved just that. When you call on us to be your top luxury interior designers, we will make sure you get exactly what you want. 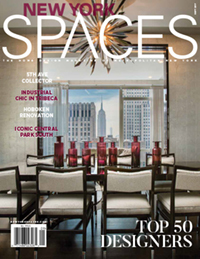 We bring remarkable beauty and expertise to any room, which is why we were voted one of the Top 50 interior designers in New York Spaces Magazine. Contact J. Patryce Design & Company today, the high rise and loft interior designers in Manhattan, NY or see other Manhattan (NYC) interior design projects here. We are ready to transform your interior into a space that reflects your needs and spirit. In no time your interior will truly feel like a home.